The Classic Clear with PowerDot heads are clear, single ply, 10mil medium weight drumheads that produce a wide-open, full sound with plenty of attack. 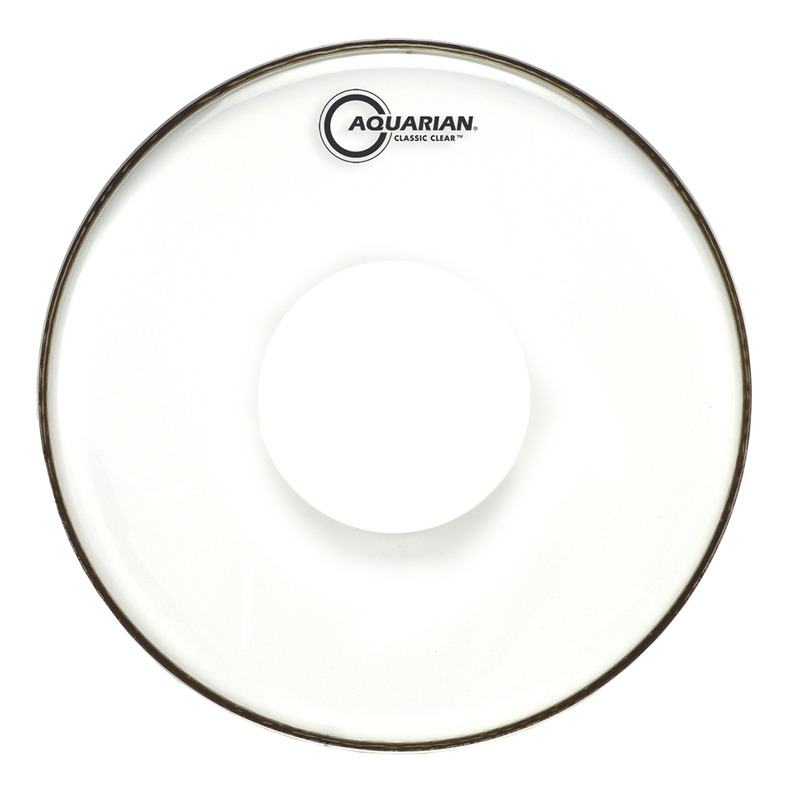 This head made from Aquarian's Nu-Brite drumhead film features Aquarian's patented Power Dot on top. The Power Dot provides extra support in the centre of the head and does not radically change the tonal characteristics of the drumhead. When used as a resonant head they react with a warm, choke free response.